winding alleyways where swinging washing lines give way to blooming hanging baskets of rose flowers. Thanks to its high-perched position over the rolling plains, sweeping panoramas of Central Italy are available from most all of the flagstone-covered “piazzas”. Last weekend, I revisited Pisa to see my Italian friend Gabriele and we decided to make a road trip to Volterra. After the sudden train strike and bus delay, we finally made it to the Etruscan hill town in late afternoon. The moment we stood by the panoramic view point overlooking the Roman theater, all efforts seemed worthwhile. Volterra is a particular town built and razed by the Romans, the grand Tuscan dukes, and the formidable Medici family alike. 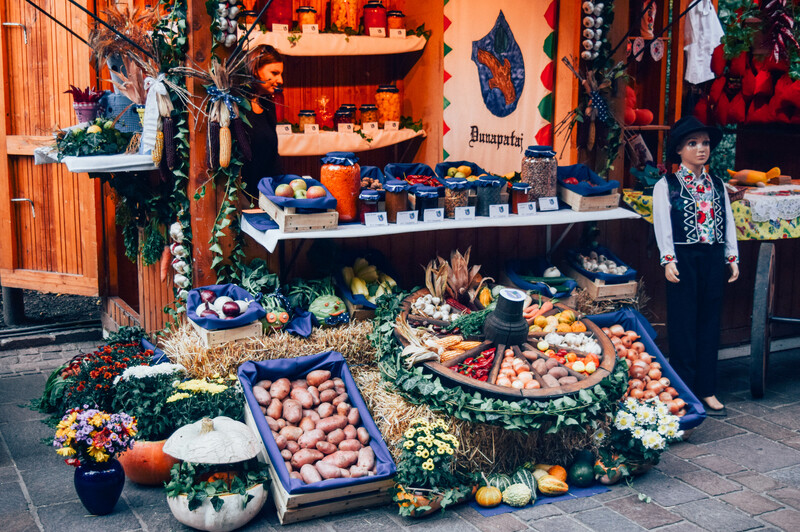 Its historic centre plays host to ubiquitous basilicas, cobblestone streets, red-tiled roofs, while its sporadic piazzas are filled with the scent of intensively-flavored olive oils sourced straight from the hills. 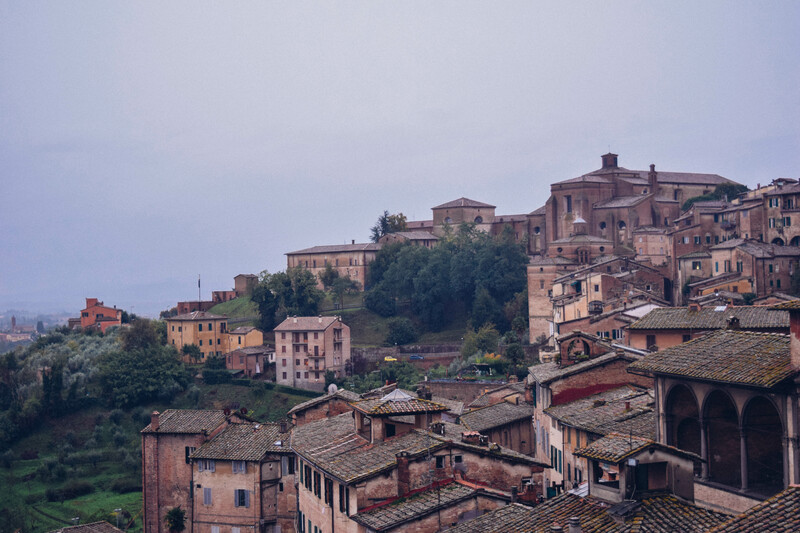 Hopefully, my photos of Volterra can give you a hint of the town’s irresistible, timelessly charm. The moment you get off the Loreto station and walk up to Via Padova, you enter the world of secret Milan. Multiculturalism is evident everywhere: from the South American restaurants, Chinese supermarkets, to the many money transfer service shops on every corner. With the often-heard rumor of this street being the “most dangerous” one in Milan, Via Padova captivates me to observe this chaotic neighborhood and the complexity of Milan as an immigrant city. 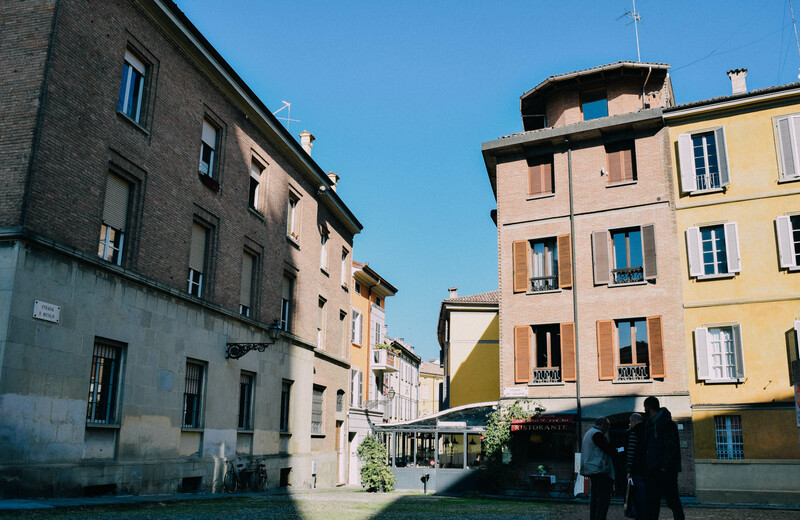 From the primary school full of immigrant children and the convenience stores in different languages, Via Padova is both a mysterious and simple neighborhood. From the obscure posters on the street walls and graffitis, you find prostitution ads as well as recruitment for a massage girl’s crew. On the other hand, this is not only the center for underground activities but the safety net for many foreign newcomers. Here they find their home cuisine, their people, their languages spoken, their comfort zones. 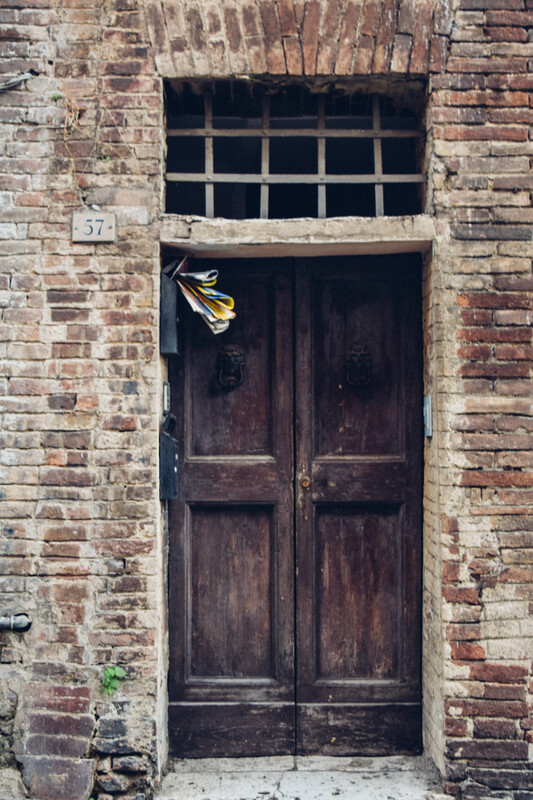 If Milan’s international environment, on business conferences of daily life, have a special resonance with you, the streets of Via Padova will be a catalyst for the deeper revelation of Milan: a Milan of multiethnic character. Translating these multiethnic, chaotic street scenes into photographic images is the challenge I would like to address. While taking honest shots of pedestrians and street stores, I want to communicate the atmosphere and authentic air of this unusual neighborhood. I can not be happier when I find out this incredibly valuable article that truly captures the essence of Milan. 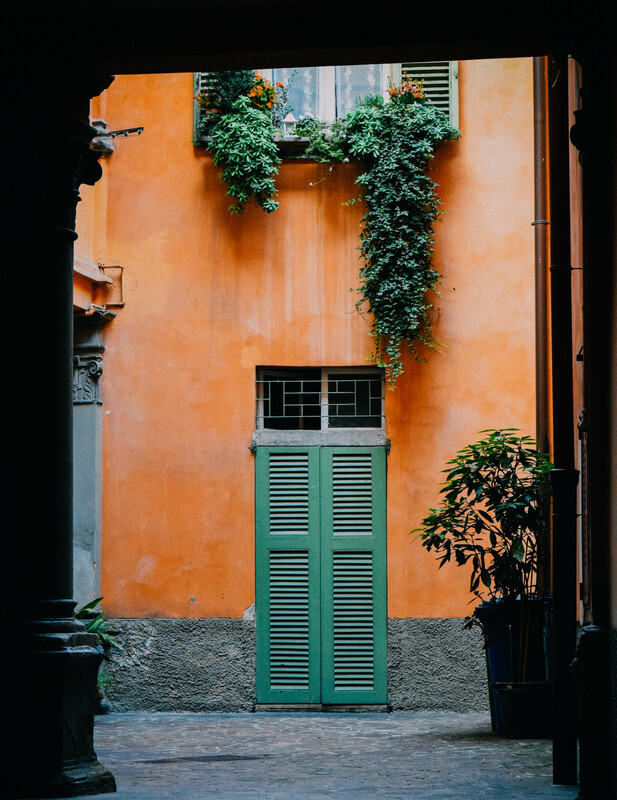 It helps me navigate the city and pull out the most intriguing, local spots immediately, in which some places that many expats in Milan would not even think of. 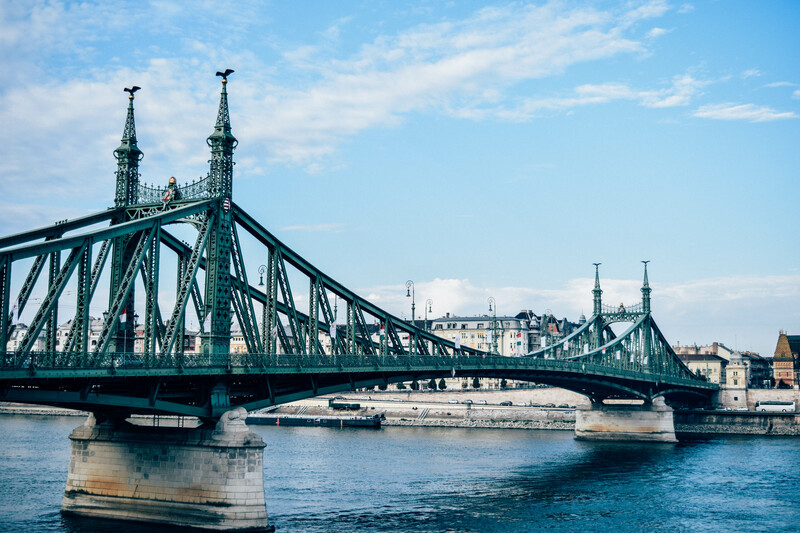 Doing some research about the city you are going to is definitely the key to a happy new start in a new environment, since you will start seeing the best of the best, while others are probably still confused by the currency change. No matter where we are, in our home university or anywhere around the world, the biggest problem facing us 20-somethings is purely peer pressure. Yes, you will find the competition out there once you start your first day of class. Ambitious youths compete against each other on how many new cities they have visited so far, how many European capitals that they have taken a stroll through, and perhaps how many new friends they have made. 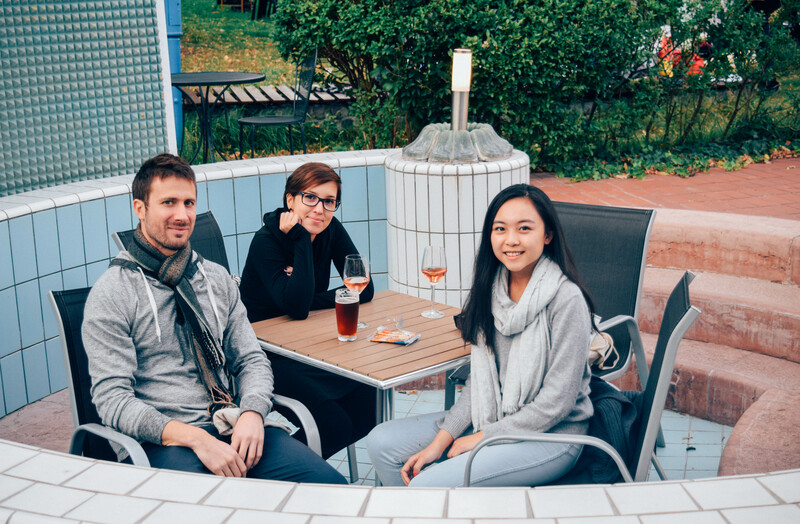 Studying abroad is not playing the statistic game that we have already tired of in school; it is rather a new chapter in our life in which we can choose to be the best version of ourselves. Why not enjoy it? Take your time, learn to cook the local cuisine, sip in a local specialty tea or drink, and marvel at the fall color in an exotic country. Milan is much more than fifty shades of gray, a funny term that Italians use to refer to their country’s industrial city. The city’s hidden gems never cease to amaze me. Every neighborhood has a particular but equally charming vibe, either luxurious-chic, alternative-hip, or down-to-earth humbleness. 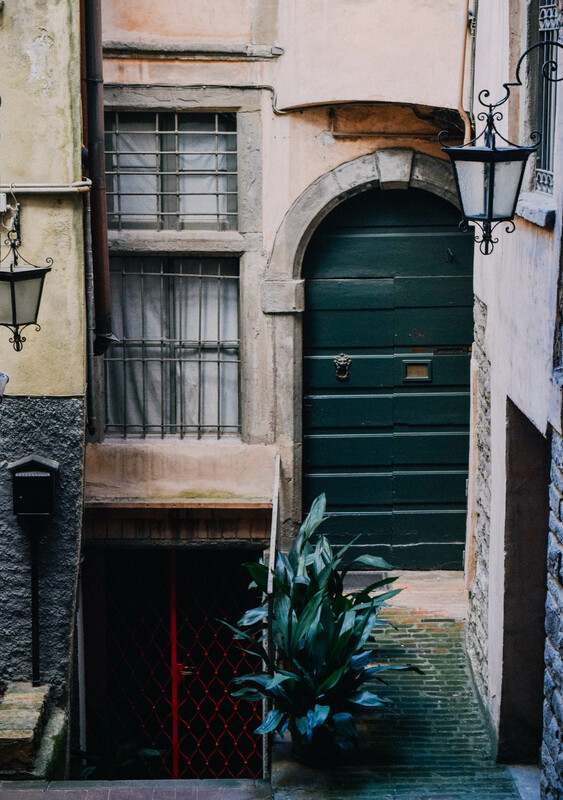 Navigli, my favorite neighborhood in Milan, has the cutest cafes in town and some hidden mysteries that only the local history experts know. It used to be a working-class canal neighborhood where all the poor ladies washed laundry for rich families; it used to be the inspirational studio of Milan’s legendary artist Leonardo Da Vinci; it used to be an artist bottega where pupils sit by the canal from sunrise to sunset to draw people from lives. Learning the history of your city’s neighborhoods not only strengthens your understanding of the culture but also makes you much more an interesting guide when your family or friends come visit you. 4. Most importantly, embrace what you have! It’s not that uncommon to hear complaints about a new, gigantic city from some abroad students. Depending on your own capacity to adapt to a radically different environment, moving to a new country is a personal revolution that will probably trigger resistance! What you need to do is simply to relax – and you’d be better to do it the local way. Take my city Milan as an example, relaxation means a “caffè” (italian expresso) in the afternoon, an aperitivo from the rooftop bar with views of Duomo, a stroll through the fashion district, a people-watching game at the chic crowd. I have always had a passion for markets. Fresh produce straight coming from the farmers, cheeses, condiments, clothes, shoes, accessories, shoes, but also home objects. Strictly fresh, honest, low-price, and practical. 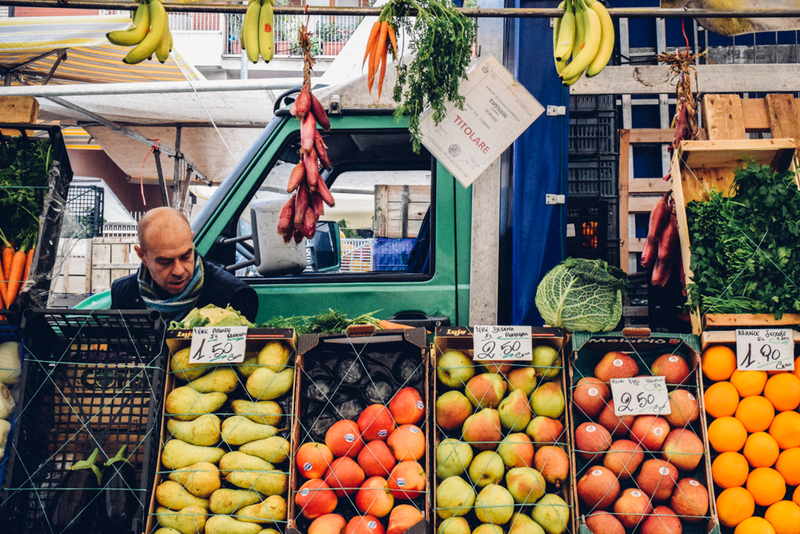 My journey in Milan began with a treasure hunt across different farmers’ markets in the city, in search of kitchen essentials, unique clothes, and an authentic view of the local Milanese people. 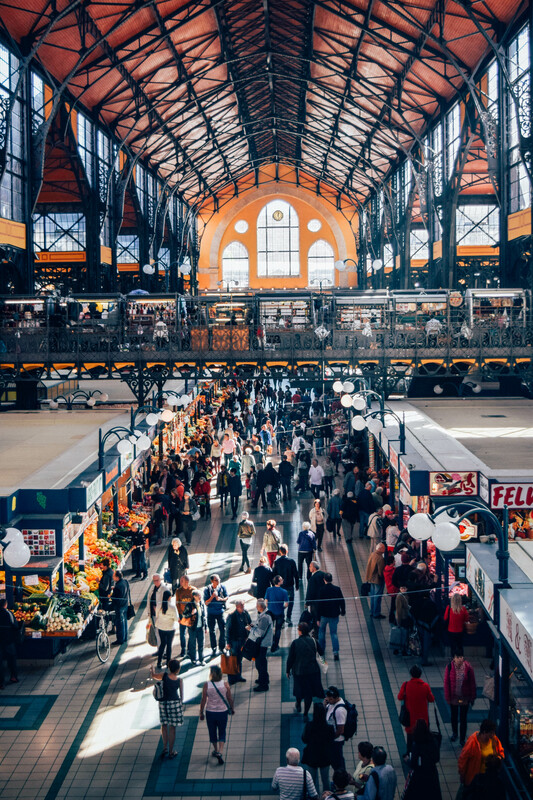 Among all these markets in Milan, there is probably no more vibrant place like the one in Viale Papiniano. Upon entering the characteristically mundane plaza, I was immediately catapulted into the old-fashioned market atmosphere. Through a close look at the intense color and the natural human interactions, I want to present the veracity of the local life in Milan, a part of Milan that is less represented in mass media. 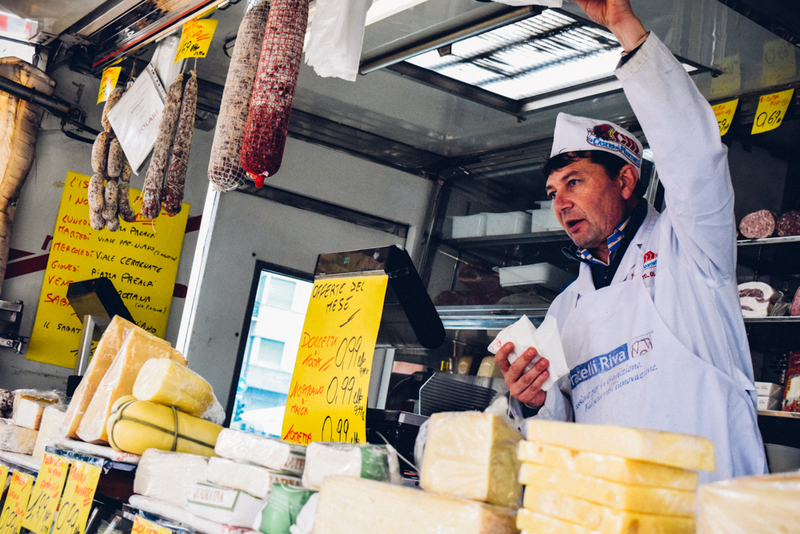 Passion for cheese has already become an important part of Italian identity. Milanese are no exception, and they for sure know what is good taste. 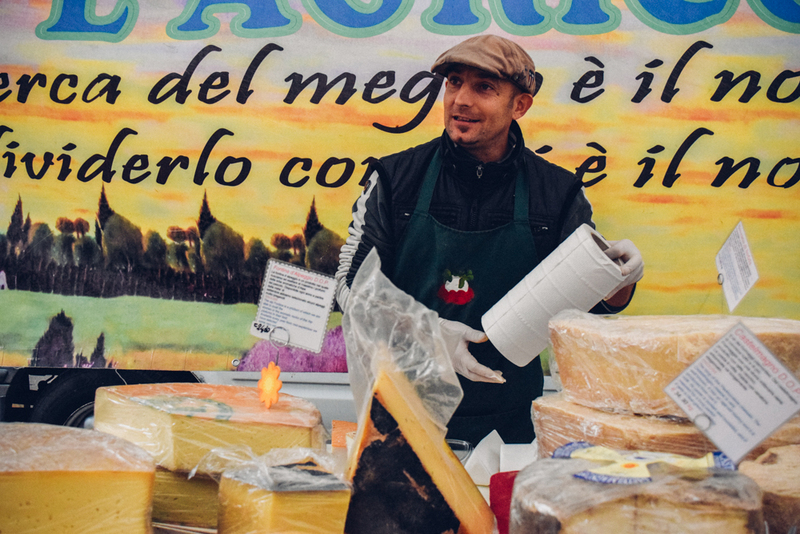 Cheeses, “formaggi” in Italian, come in amazingly diverse variety and quantity in Papiniano market. 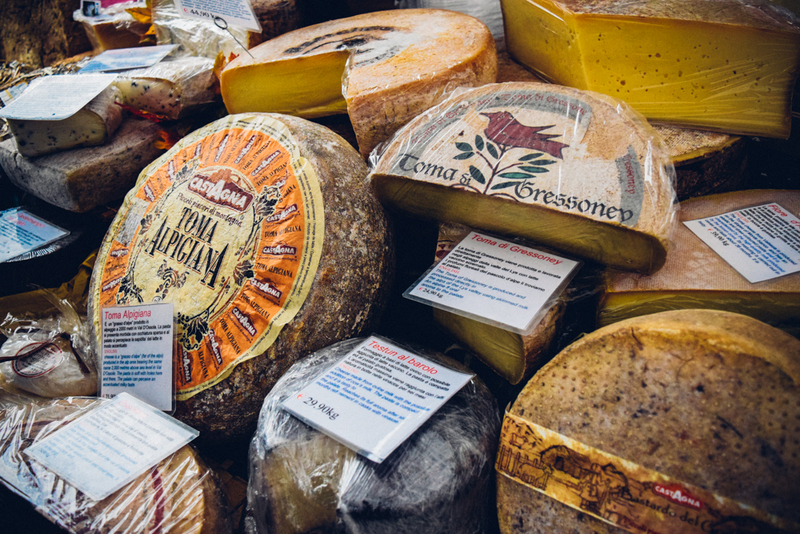 Each cheese stand has its own specialty and character. My favorite, however, is the organic cheese stand that sells truffled-flavor cheese exclusively. With one little bite, the indescribable flavor of minerals from that far-away mountain has already convinced me. 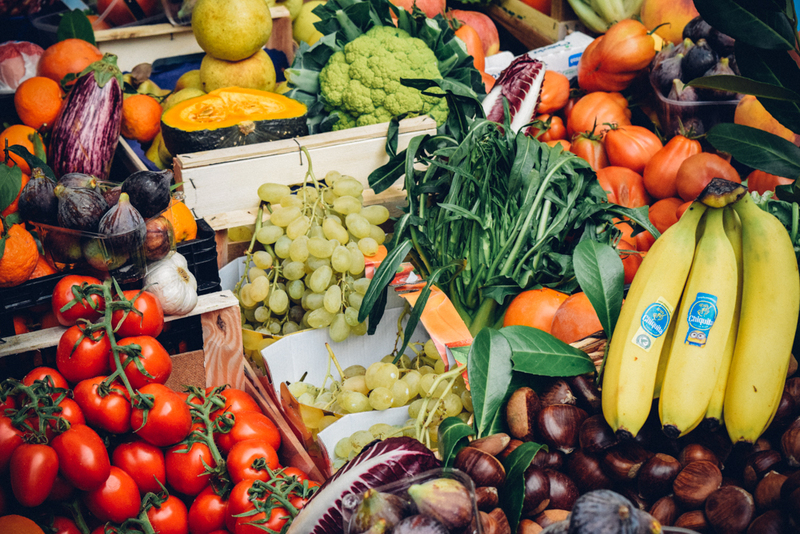 It’s a great opportunity to see what fruit and vegetables are in season, and Italy has a fantastic range of diverse produce year-round. 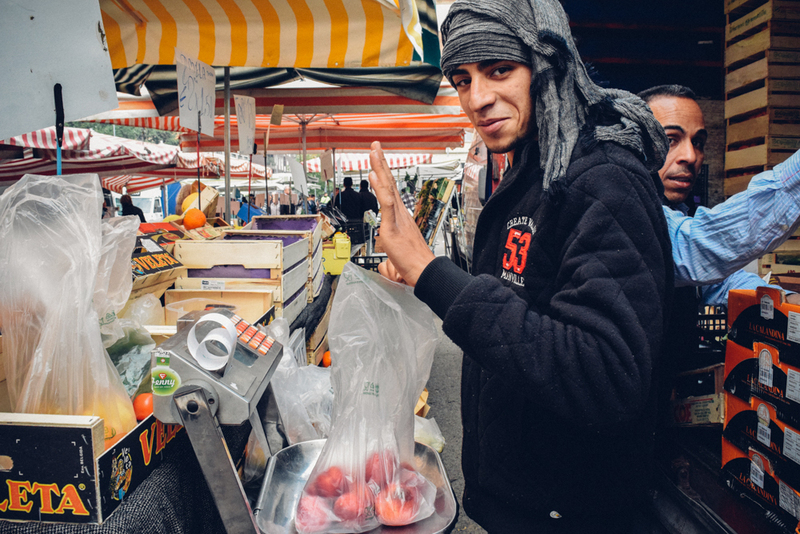 As what you would expect at a market, there is also the usual yelling and bargaining conversations, which makes it much more lively than a normal supermarket. The stand of Muhammad, a young immigrant from Pakistan, is my go-to place because he always greets me with a warm smile and often discounts. 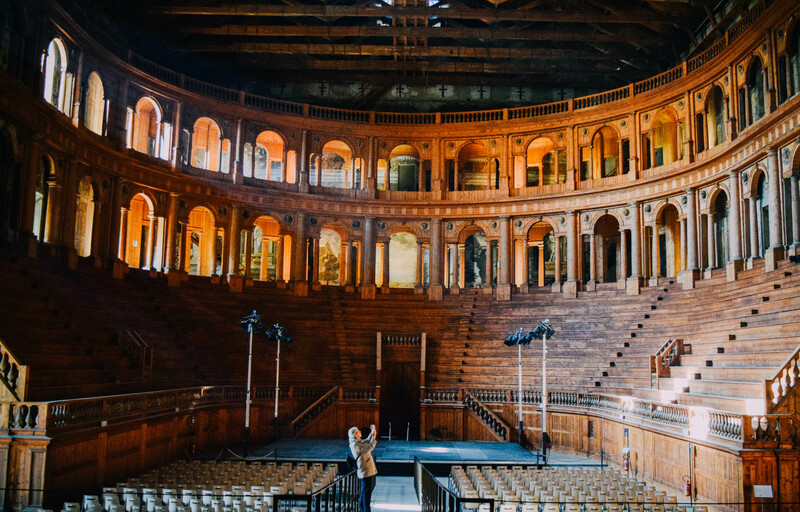 There is no better way to learn about Italy than visiting its less-known, more relaxed cities. 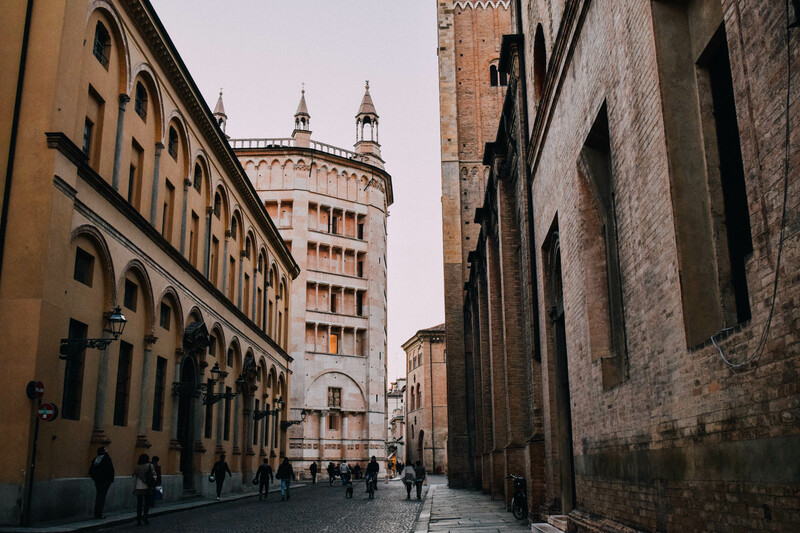 With the intention of going off the beaten paths, I visited Parma and Bergamo last weekend for a weekend escape from the 24/7 dynamic Milan. I want to hunt for the humble trattorias and their simple, satisfying, inexpensive cooking. I want to look into those elegant, tranquil courtyards inside of the residential houses with historic outlooks. I listen to how people talk on the train, how they converse with the baristas while quickly sipping their espressos, and how they complain about the weather over phone. I come to Parma because like everyone, I want to pretend for a day at least, that I am Italian. There is no easier city to do that in than Parma. 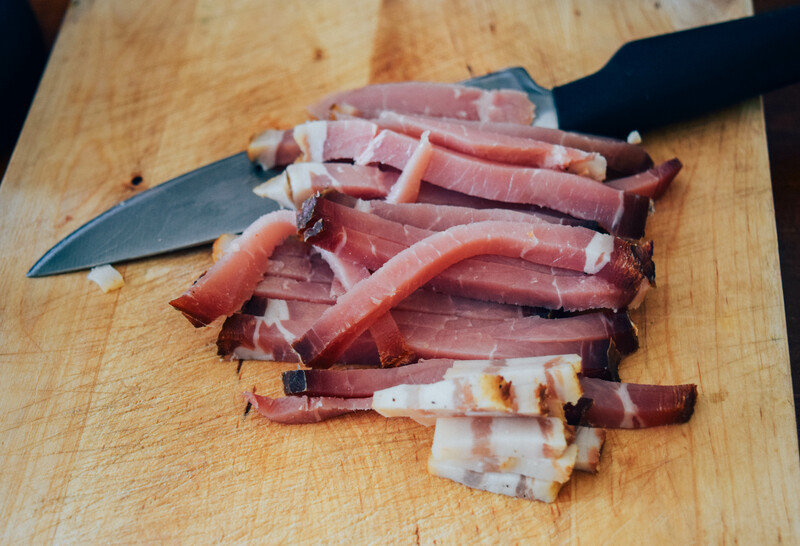 One can walk the markets without bumping shoulders with other tourists, eat a sandwich made of the irresistible local prosciutto at any hour of the day, have a late aperitif down an alley cast in an orange sunset glow. Walk along a narrow street in the historic center and see grandmas hang wet clothes from the balcony. Parma and high art don’t collide often in the same sentence, but when I am standing in the middle of Teatro Farnese and reading through Correggio’s fresco masterpieces in National Gallery of Parma, I am left completely speechless. Those artists have built these works with meticulousness and extreme attention to details. Looking at these frescos and wooden panels, I can truly feel the religious piety that these artists have devoted into their art. Bergamo, a gorgeous city slightly north of Milan, is also a precious gem overshadowed by its metropolitan neighbor. 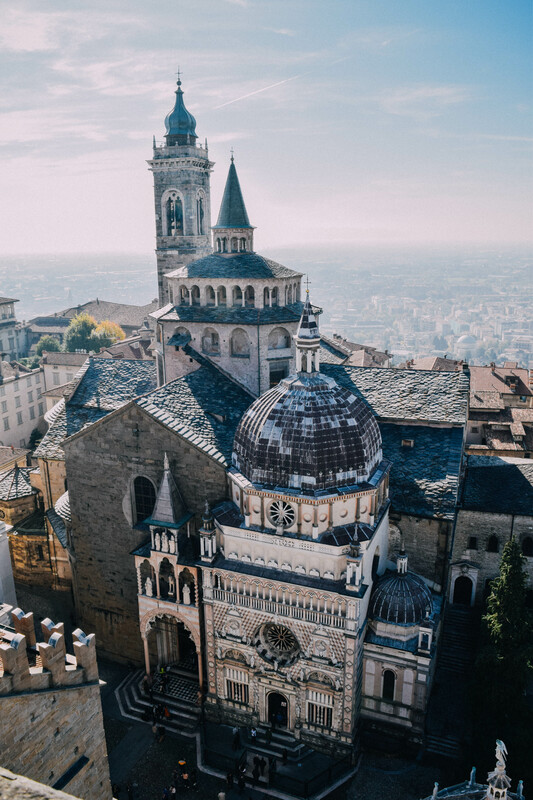 Housed the stunning Renaissance-style Basilica di Santa Maria Maggiore, Bergamo also features Venetian rocky city walls and fascinating underground waterways. Hidden and understated elegance, is the characteristic that Bergamo shares with Milan. Inside of every torn down residence exterior, there is always a cozy and chic courtyard. La dolce vita to the core. Not a single trip to Italy is complete without going to Tuscany. 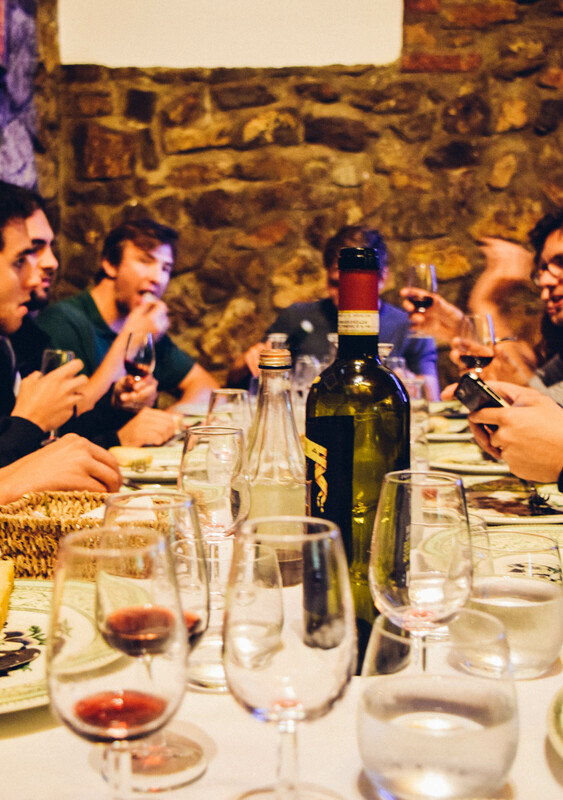 A slow-cooking food tradition, the famous Chianti wine region, and the rich artistic tradition of Renaissance style all originated from this territory. In early October, I hopped on the bus with my IES Milan program to Siena, a medieval town in central Tuscany. Although it was a weekend filled with drizzling rain and crisp fall air, my experience of Tuscany was in fact much more tranquil and authentic. The rain suddenly became a “stop” sign to the big tourist groups that are always present in every Italian city, turning Siena into a quaint town, as it has always been. Siena is not one of the grand cities of Italy. It doesn’t have the history of Rome, the charm of Florence, the energy of Milan. It doesn’t even have the tourist crowd as you would imagine, probably because of the rainy weather. But greatness is often defined by one’s personal response to a certain place. After climbing 500 steps to go on top of the Museum of Opera, I was on an emotional state looking down at this incredible panorama. 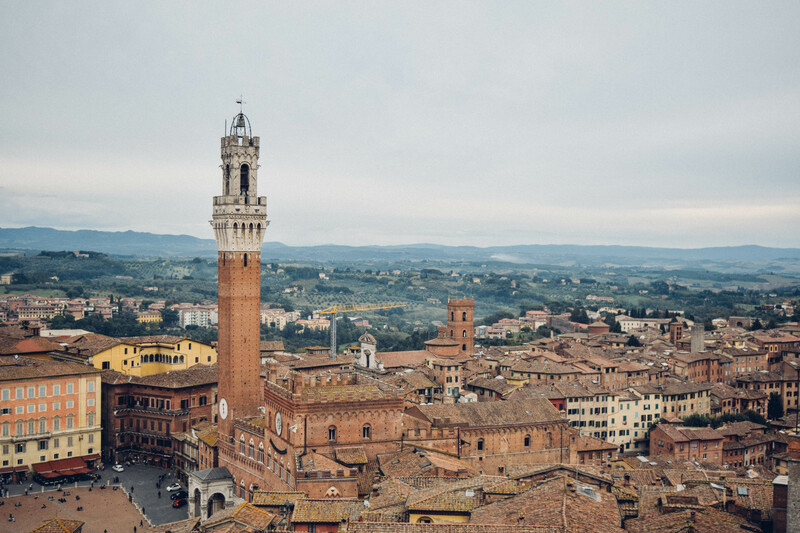 Ancient, a little messy, medieval-style, tranquil, Siena defines the essence of a typical Tuscan town. Speaking of Tuscany, it is impossible not to mention its gastronomic richness and fine vineyards. Being the little gem of Chianti region, Montalcino produces Tuscany’s best Brunello and, arguably, Italy’s most distinguished wine. 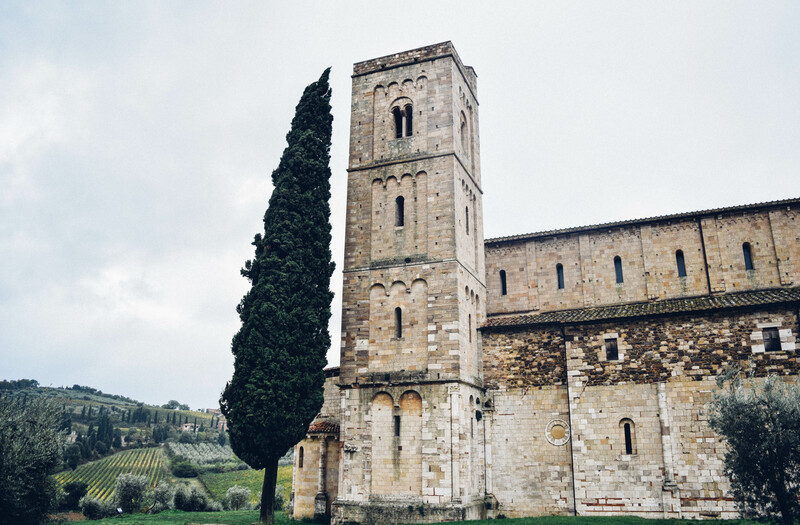 Up in the hills, Montalcino is tucked away by vast greenness and wavy mountains. 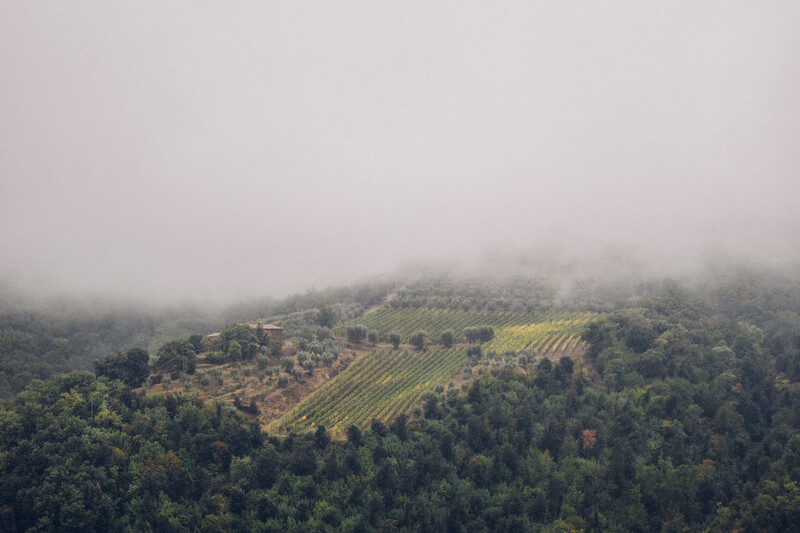 The fogginess, tranquility, and elegance of Montalcino exemplifies the renowned Tuscan landscape. After a brief tour of a family-runned vineyard, we had lunch at their farm-to-table style restaurant. A plate of homemade tagliatelle with ground pepper, butter, and Parmesan cheese, paired with locally produced Brunello, constitutes the menu of the day. Simple, fine, irresistibly delicious, this homemade meal defines the Tuscan cooking philosophy. Now, after two days of immersing in tranquil Tuscan landscape, it’s time to head to Pisa. 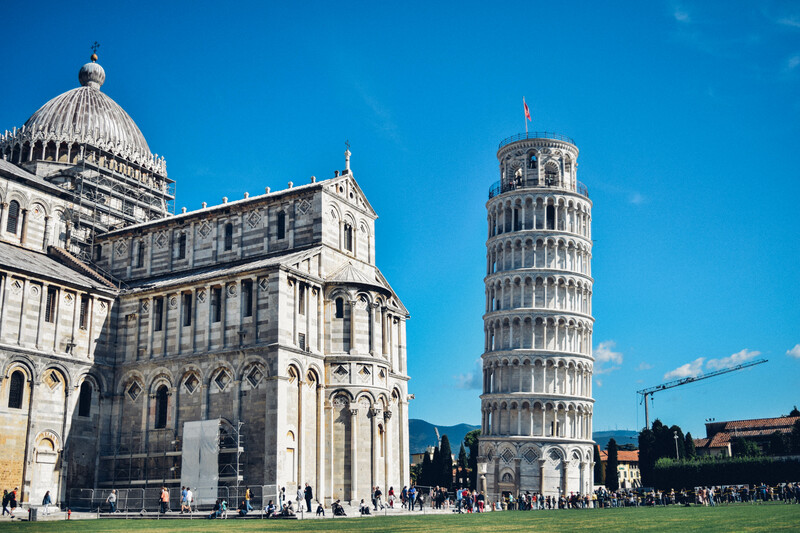 As touristic as Pisa has always been, the city undoubtedly offers some of the most incredible architectural wonders of the world, including the Pisa tower and much more. Breakfast. Hungarian weekend breakfast is long, sumptuous, and conversation-friendly. The Milanese breakfast, instead, is …? Wait what? Does that even exist? It did baffle me many times that a country obsessive with food does not have an extensive breakfast menu. Breakfast in Milan and northern Italy usually consists of only a few biscuits and a cup of cappuccino. At the most, you add a brioche and some orange juice. The breakfast I had in Budapest, however, is probably the type of big meal you will eat in your grandma’s country kitchen when you go back once a year. 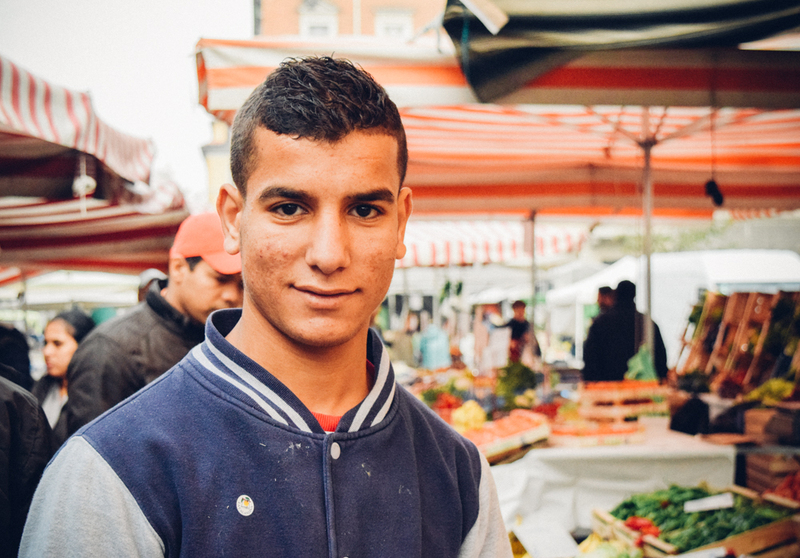 Locally-produced ham, hummus, whole wheat bread, fresh butter, cheese platters, pastries, milk and coffee…etc. “A great weekend always starts with a satisfying long breakfast,” said my Hungarian friend. Cafe Culture. There is no need to re-emphasize how a cafe functions as a semi-religious institution in Italy. Yes, there is a certain ritual and drinking pattern that you are forced to respect and follow. In Hungary, everything about coffee is much more casual. 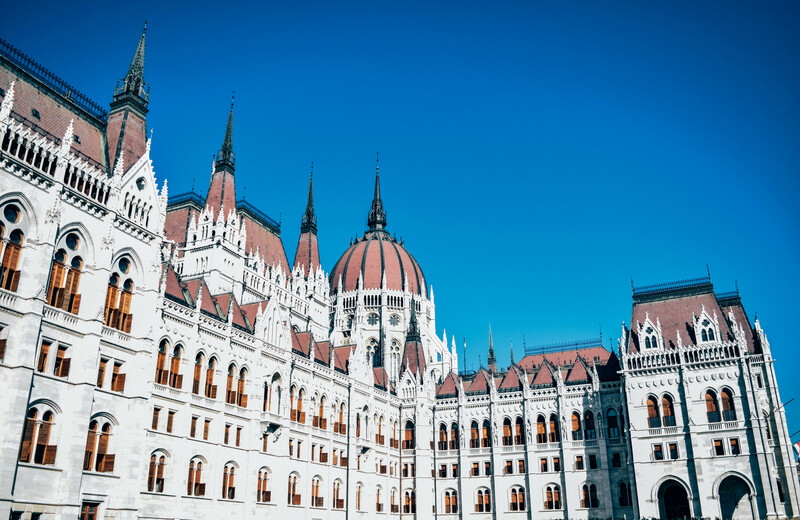 An even more casual and relaxing atmosphere dominates the cafes in Budapest. The former Jewish quarter, now turning into a hip, “ruined” pub district, hides a collection of gem-like cafe bars. People and Style. The Milanese fashion style is hard to miss even when you are visiting the city for just one day. Take a look of this street fashion blog which generates a sense of how the Milanese dress themselves. “La bella figura” (the beautiful figure), said by Italians, defines their attitude toward everyday elegance. Fashionistas in Budapest, are relatively more reserved. 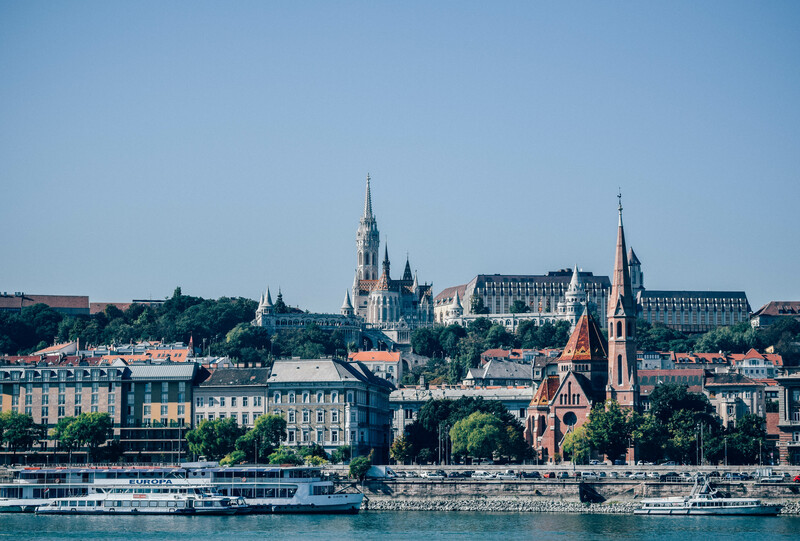 It’s hard to spot flashy color and revealing jewelry in the fanciest neighborhood of Budapest, while even the shop cashier in Milan wears a pair of Valentino-labeled shoes. In the subway, most people prefer to wear darker colors and their coats are more conservatively designed. For me, this is rather a difference of personality than a difference of taste. You are currently browsing the archives for the Jiaqi in Italy category.